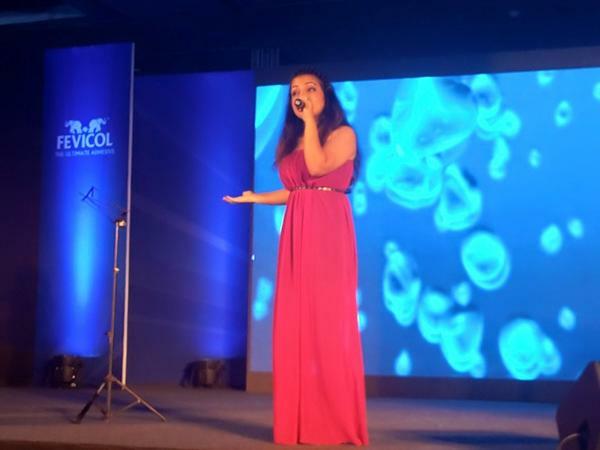 Based in Mumbai, Poorvi Koutish is a very talented singer and finalist of the popular singing TV reality show Indian Idol. A rockstar on stage, her vocal skills had her performing at various wedding ceremonies, both national and international. A great wedding singer and performer, her voice takes you to a different world altogether. She is currently working with famous music director of the Bollywood industry- Shankar Ehsaan Loy. She is the best choice for a reception night, sangeet ceremony or engagement function. Poorvi Koutish is a wedding entertainers orchestra based out of Mumbai . Poorvi Koutish 's telephone number is 76-66-77-88-99, Facebook page is Poorvi Koutish and address is Sameer Complex, Saint Andrews Road, Bandra (West), Mumbai, Maharashtra- 400050, India..
Poorvi Koutish is mainly known for Entertainment Services. In terms of pricing Poorvi Koutish offers various packages starting at Rs 0/-. There are 0 albums here at Weddingz -- suggest you have a look. Call weddingz.in to book Poorvi Koutish at guaranteed prices and with peace of mind.